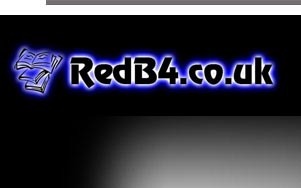 Here we have two new RedB4 themes. - Queen's Hidden Garden: Buckingham Palace's Treasury of Wild Plants by David Bellamy, 1984. - The Tower of London: An Illustrated History by Russell Chamberlin, 1989. - London: Passing Faces by Michael Dowty, 1990. - David Gentleman's London by David Gentleman, 1986. - The Great Palace: Story of Parliament by Christopher Jones, 1983. - The Companion Guide to London by David Piper, 1987. - A New Description of Sir John Soane's Museum, 2001. - The London Nobody Knows by Geoffrey S Fletcher, 1962. You can buy the whole collection for £70.61 (including postage + £2 handling). - Cinefantastic: Beyond the Dream Machine by David Annan, 1974. - Collins Guide to Musicals by John Muir, 2001. - Chambers Concise Encyclopedia of Film and Television by Allan Hunter, 1992. - Movie Magic by Robin Cross, 1994. - Horror movies: Tales of Terror in the Cinema (The Movie Treasury) by Alan G Frank. - The Theatre Museum Victoria and Albert Museum by Alexand Schouvaloff, 1987. - The Best of Disney by Neil Sinyard, 1967. - The Movie Book by Don Shiach, 1995. - Halliwell's Filmgoer's Companion by John Walker (editor) and Leslie Halliwell, 1997. - Halliwell's Film and Video Guide by Leslie Halliwell, 1997. - The Focal Encyclopedia of Film and Television Techniques by Raymond Spottiswoode, 1969. You can buy the whole collection for £77.69 (including postage + £2 handling).